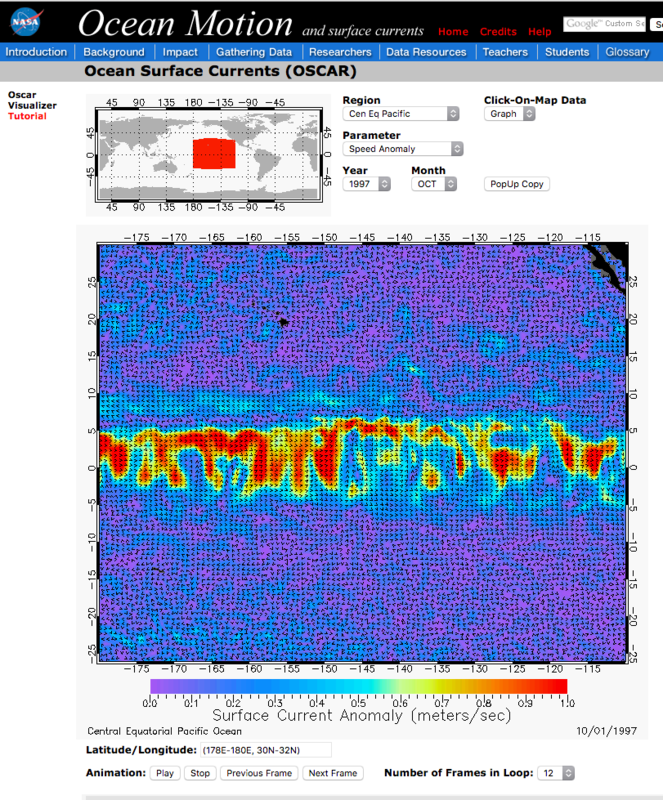 The best place to access OSCAR data is through the NASA Physical Oceanography Data Center, the PO.DAAC: podaac.jpl.nasa.gov. 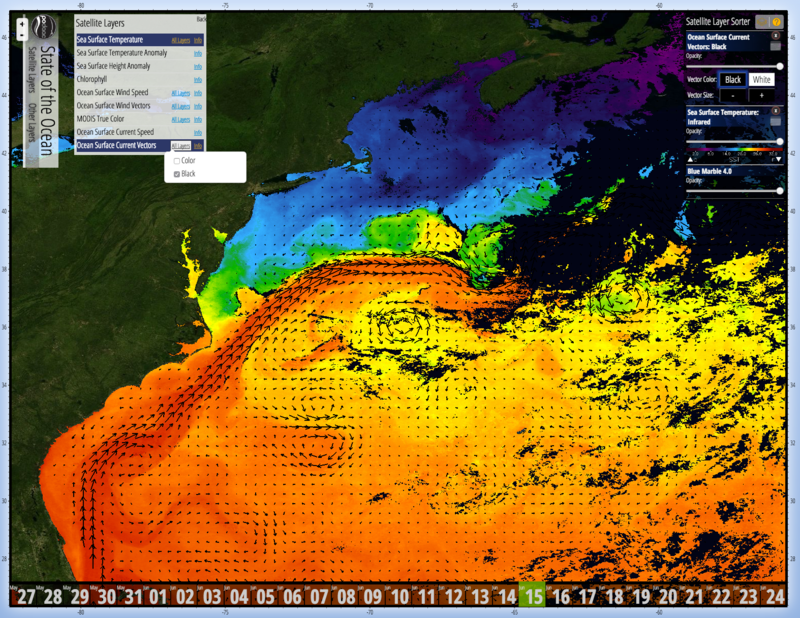 The website also has an interactive data plotter which allows the user to overlay a variety of ocean properties on one map, including OSCAR. 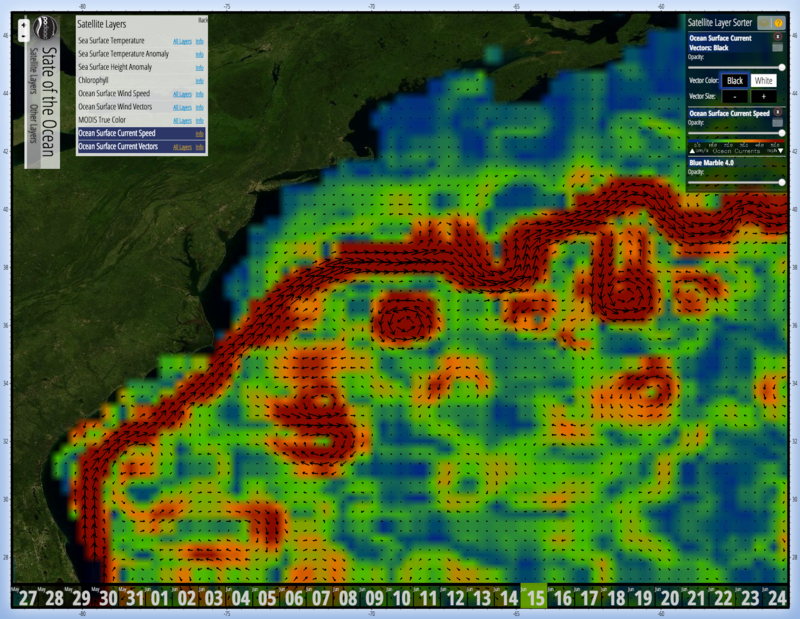 This is the State of the Ocean, providing a means to view ocean conditions over the last 30 days. Sample PO.DAAC SOTO plot for OSCAR speed in color and vector arrows for June 15, 2016. Sample PO.DAAC SOTO plot for SST in color and OSCAR vector arrows for June 15, 2016. The Asia-Pacific Data-Research Center (APDRC) of the International Pacific Research Center (IPRC) at the University of Hawaii hosts OSCAR retrieved from PO.DAAC on their LAS server/plotter. OSCAR at APDRC. 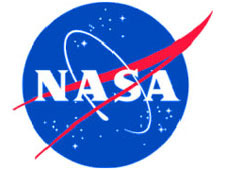 High resolution movies of particles following the flow using OSCAR data have been created by Greg Shirah at the NASA Goddard Scientific Visualization Studio, svs.gsfc.nasa.gov. From the main site are links to many beautiful images and movies created by the studio. Snapshot of an OSCAR movie from the NASA Goddard Scientific Visualization Studio. 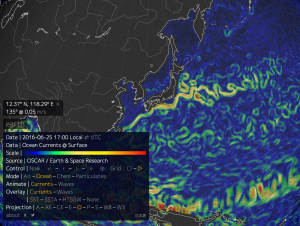 NASA’s OCEAN MOTION website is a public education resource providing a comprehensive description of the circulation of the oceans. Included in the site are interactive data visualizers, inlcuding an OSCAR surface current plotter. 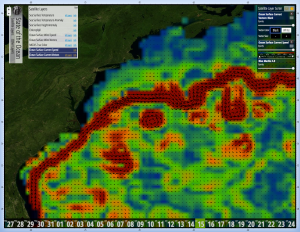 The plotter provides OSCAR data up to Mar 2014, but it does allow users to view anomalies for pre-defined areas of the ocean. It also features interviews with scientists, including ESR’s Gary Lagerloef. The site is a valuable resource for both teaching and learning about the circulation of the world’s oceans. 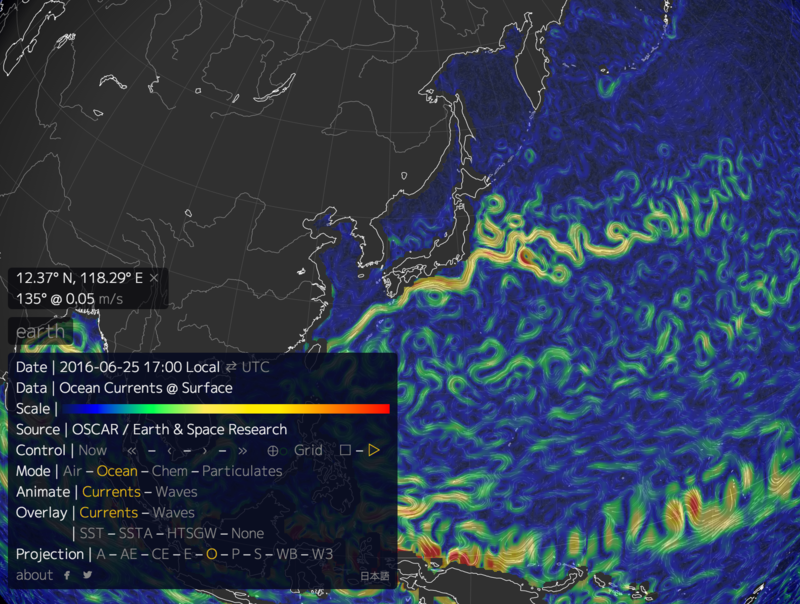 earth.nullschool.net provides fun visualizations of several global datasets, including OSCAR. 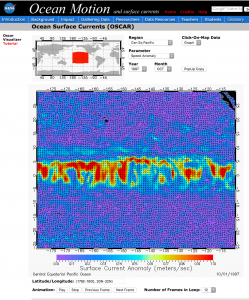 Click on “earth” at the bottom left and choose Ocean and Currents to get OSCAR. Clicking on “about” in that menu provides information on the data sources.